Many students are looking for ways to boost their AWA skills and score. Unfortunately, there is not a plethora of resources out there for students. Most often, we have to rely on people around us or forums online to receive feedback on our writing. Let’s look at what is available help to boost our AWA score. 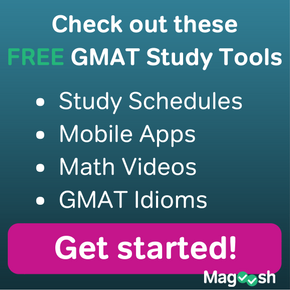 The first resource comes from GMAC, the makers of the GMAT. 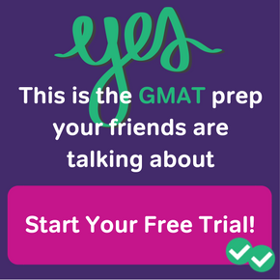 As are most official GMAT resources, GMAT Write® is not cheap at $29.99, but it is the only resource that can give you immediate feedback on your writing and your ability to analyze an argument. To decide whether to pay for this service, you’ll need to think about how important your AWA score is for your application. Honestly, I would exhaust other options before purchasing the service. You may not think that your friends can help you improve your writing. You might think you need a professor or a published writer to help. But you’d be wrong. A friend can indeed help you improve your writing. An extra pair of eyes can identify spelling mistakes, grammar errors, and organizational lapses. Ask a friend with good reading and writing skills whether you can buy them a coffee in exchange for reading your essay. Let them know that it is a timed essay and that you only have 30 minutes to write it. After all, this isn’t supposed to be a long-form editorial in The New Yorker. Have your friend look at the structure, logical flow of ideas, and persuasiveness of examples. Tell them you aren’t concerned with big words and advanced vocabulary. Ultimately, they should look for clear, concise, direct writing that flows well. To give them some context, ask them to read through our essay rubric. You can find mock essays on our blog and examples of how to write introductions, body paragraphs, and conclusions. There are a few essays in our product as well. Many test prep books have mock essays too. Usually these essays range from ‘2’s to ‘6’s. Take some time to read these essays. Note the differences between a score of 6 and of 3. What do you notice about the length, examples, and style? Find the differences and apply what you learn to your own writing. This is also a great way to learn how to evaluate your own writing objectively. 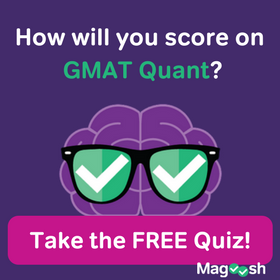 As a GMAT test taker, you’re in luck. There are two very active forums where you can post your essay and, hopefully, some kind stranger will give you feedback. 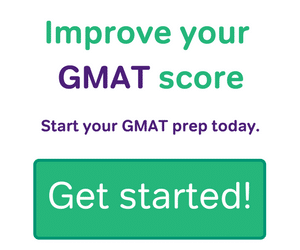 Both GMAT Club and Beat the GMAT have sections dedicated to the AWA section where many students post their essays asking for feedback. I recommend signing up and giving feedback to other students first. Build up some karma, then post your own essay and ask for feedback. You’ll learn how to evaluate writing by looking at other students’ essays; you’ll see how to analyze arguments and learn new examples; and, in the end, you’ll receive feedback on your writing. One way to check your writing on your own is to paste the text into a Word document. Those red and green lines will tell you if something is wrong. By going into ‘Tools’ on the menu bar, you can read an explanation of what’s wrong with your sentence. This won’t help you improve the structure or logical flow of your ideas. Still, knowing that your grammar and spelling are in need of work can help boost your score by as much as a point. You can also use the Hemingway App online for similar purposes. It will point out awkward sentences, passive voice, and unneeded adverbs. Although it won’t tell you how compelling your examples are, this will give you an idea of how readable your writing is. Getting feedback on your AWA essay is not easy. But don’t feel defeated! There are resources out there that can help you improve. And don’t forget: nothing makes you a better writer than practice, feedback, practice, feedback, practice, feedback. How are u doing? I wanted to check weather Magoosh can help review my AWA and grade it for me. Awaiting your response. Thank you.